My first full day in Korea I set out to find a cell phone that I could use for the year that I'm here. I already had it in my mind that I would either get an iPhone 4 or the Samsung Galaxy S2 (GS2). I had this in my mind because I've never used an iPhone (even though I’ve had and iPod Touch for about three years now) and the GS2 is said to be the best phone currently on the market. I went to the cell phone booth at the Post Exchange to see what they had and what the prices would be. They had both the GS2 and the iPhone and both would have been priced at around $400 on a two year contract and paying about $60/month. I was told about another place on post called One Stop. They were supposed to have the best prices so I went there to make comparisons. They also had both the GS2 and the iPhone and pricing would have been around $200 for the phones and $50/month for the plan. The only difference is that the iPhone was locked into a two year plan because of the carrier it was on and the GS2 would have a two year contract but I could break the contract by returning the phone after a year and making sure my bill was paid in full. This ruled out the iPhone for me because I didn't want to go around looking for someone in a year to take my iPhone contract. I was set on buying the Samsung GS2 but the lady at the store was insistent that I buy a HTC EVO 4G+ because it would be cheaper. 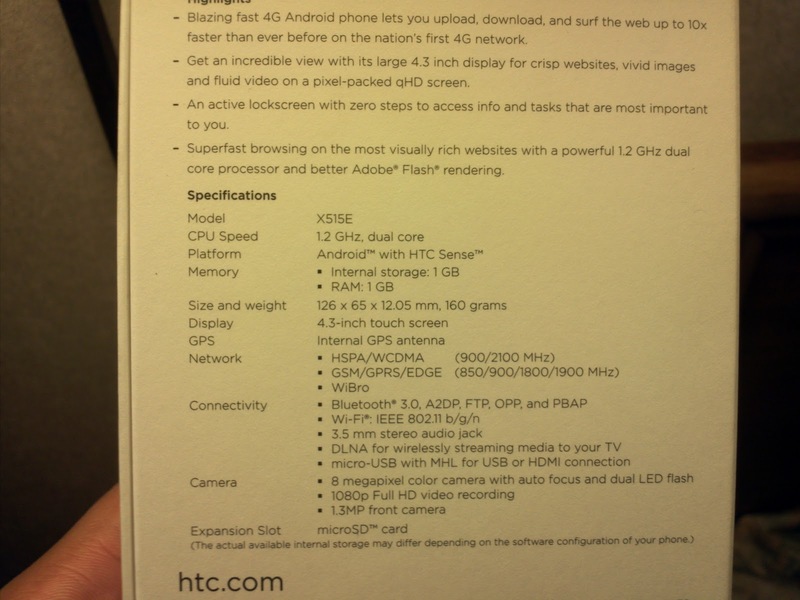 I was thinking that the GS2 would have the same specs as the US versions meaning a dual-core 1.2ghz (or 1.5ghz on T-Mobile) processor and big 4.5in screen. Come to find out, the GS2 did have the dual-core 1.2 processor but it only had a 4.3in screen. Also the GS2 would have cost me an additional $30/month because the cost of the phone would be spread across the contract. 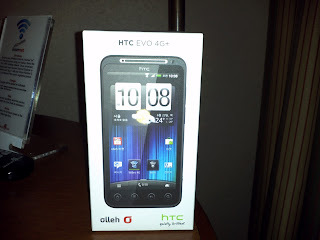 The Evo 4G+ was going to be the cheaper purchase and had "4G". At first I thought 4G was LTE but it's actually Wimax. Wimax isn't bad but it is a lot slower than LTE (about 21mbps versus 100mbps theoretical). The cheaper price and my ignorance thinking I was getting an LTE device swayed my purchase of the EVO 4G+. The process of picking a cell phone plan is a lot different then it is in the US. There were a few low data capped plans that I won't discuss because they are intended for low end messaging phones. My choices ranged from 300 to 1000 local minutes with the same number of local text messages allowed and unlimited data. 300 mins/300 texts and unlimited data costs about $44/month on up to 1000 mins/1000 texts costing $76/month. All incoming calls and texts are free and there is no data cap on the unlimited data like there is in the states. 4G data was capped at 10gb and costs $0.08/kb for overages. Going over your minute limit would result in minutes costing about $0.10/min and going over texts would be $0.02/text. Since most of the world uses texts and incoming texts are free, I went with the lowest plan of 300 mins/300 texts for $44/month. After buying the phone I went about downloading some of the apps that I used in the states, some of which worked, and some didn't. I was able to link the phone to a US Android Market account and downloaded many of my primary apps that way. I was able to get Google Voice to work for text messaging back to the US so my friends and family back home can text me for free. I'll figure out how a lot of people communicate over here and download whatever apps I need for free texting. 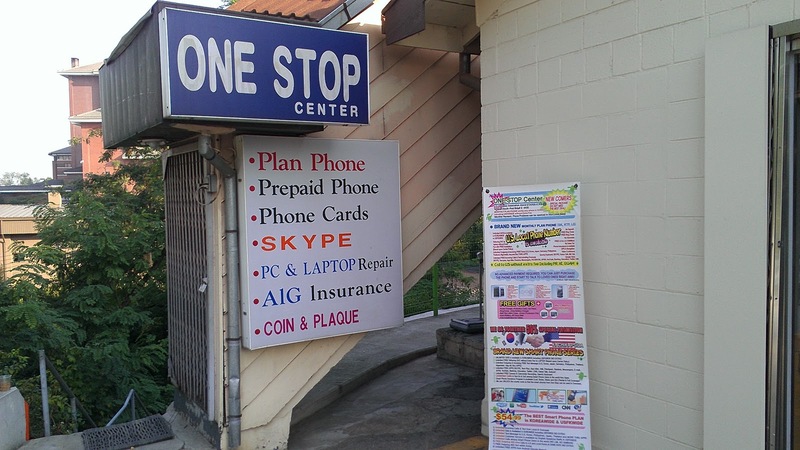 The people at One Stop told me about some messaging apps and how a lot of the US cross platform messaging apps like Kik, Whatsapp, Skype, etc work just fine. It will just be a matter of finding out which ones people use around here and download them. Being a tech geek, one of the first apps I downloaded was the speedtest.net app. With a good 3G signal I am pulling around 5mbps down and 3mbps up. When I turned on 4G, my data speeds actually dropped a little to only around 3.5mbps down and 1.5mbps up. I don't know why being on Wimax would slow my data connection but I'll figure that out as I play with the phone. In summary, my cell phone purchasing experience was much like what everyone has described overseas. Go to the local cell phone shop, pick a phone, then pick a carrier with the best plan that fits your needs. I am able to change my plan as I need on a monthly basis so I will be able to add more minutes and texts as I see fit. 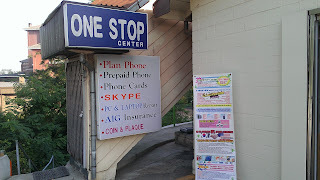 My cell phone purchasing experience was generally a good one so far and I am looking forward to going back to the One Stop almost monthly to check out new phones and adjust my contract. The only odd thing about the whole experience was the fact that many people were buying Dell Streak 5's while I was there. I don't know if the shop was pushing people towards that phone, people loved the big screen, or if they were free on contract. Either way, I wanted no part of an overly large, 5in, year and half old Android phone that Dell just recently discontinued. 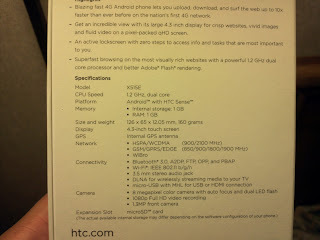 I'll post my impression of the HTC EVO 4G+ in a few days when I get some more time.